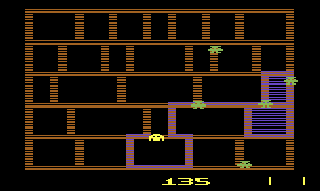 OverviewAn arcade game developed by Konami in 1981. 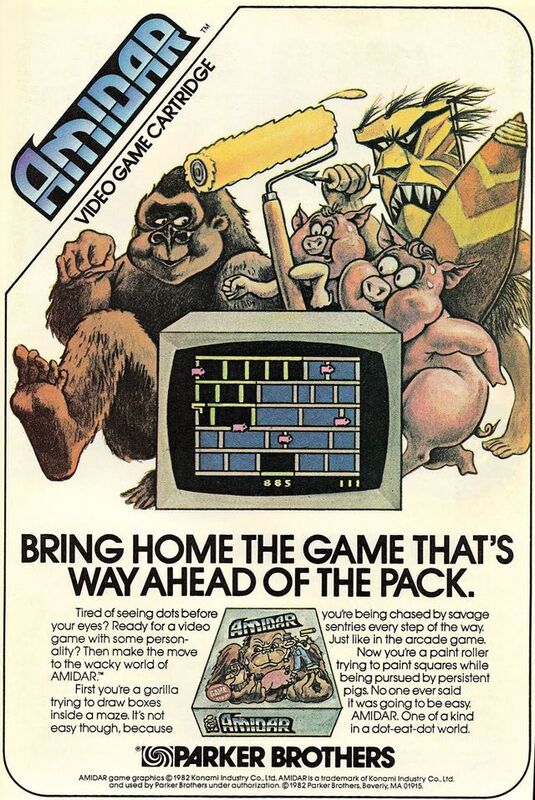 It was later ported to the Atari 2600 by Parker Brothers. 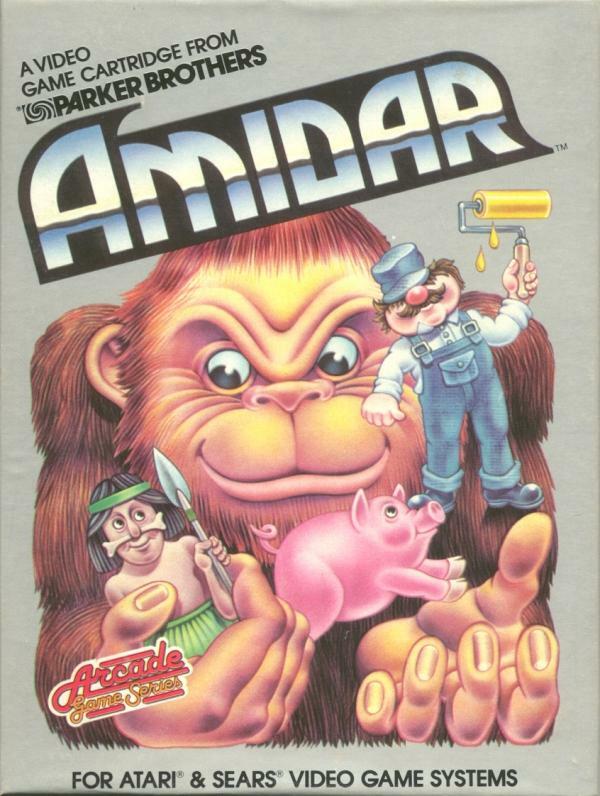 The basic concept of Amidar is to run over each section of lines on the stage while avoiding the enemies moving around you. Once you fill in all of the lines surrounding a box, the box will fill in with color. Once the entire stage has been moved over, you win. Fill in all of the corner squares to render the enemies useless for a short period of time in which you can hit them to score points. Now you can add videos, screenshots, or other images (cover scans, disc scans, etc.) for Amidar (1982) (Parker Brothers, Ed Temple) (PB5310) to Emuparadise. Do it now!